1 YEAR ANNIVERSARY! || 100M DROP PARTY! 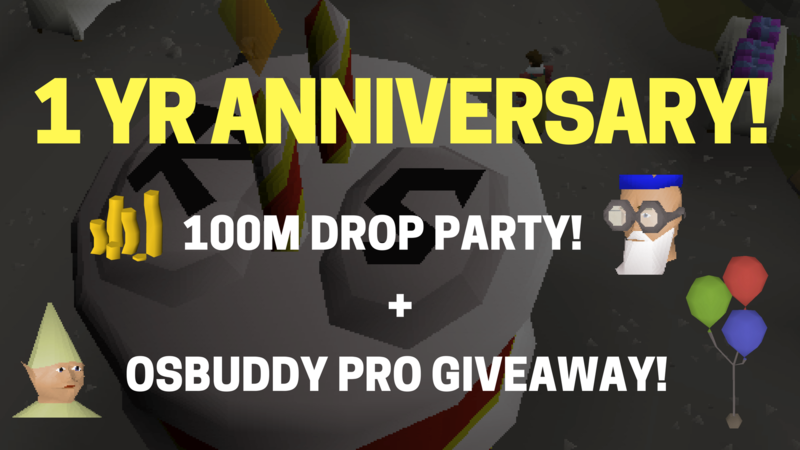 || 7 OSBUDDY PRO CODES GIVEAWAY! 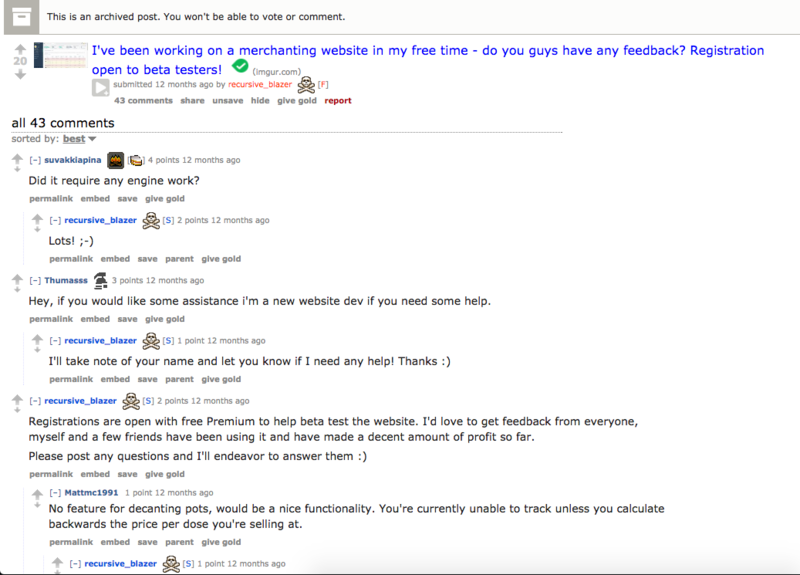 On April 12, 2016, James posted his personal project on 2007scape reddit â€“ tick the clock for the birth of Ge Tracker. Itâ€™s honestly crazy to see how much GT (Ge-Tracker) has changed over the past year. I remember trying to picture the future of the site back in April 2016, and in the fall; but itâ€™s grown in ways I never imagined. When I first joined, the site was fairly small and had only the fundamental core functions: i.e. graphs, profit tracking flipping/money-making tools. But todayâ€¦ itâ€™s grown to so much more. You guys have been sharing your insight on what you would like to see, and James has worked tirelessly to make it all happen. It was easy to see how much time, work and care James put into his work, and I wanted to help out in any way possible. The emails Iâ€™ve had back and forth with James are pretty much burned into my memory haha, and still feels like it was just yesterday. The greatest thing however, has been the community. They say Runescape players can be foul, but Iâ€™d say weâ€™ve been the nicest community in Runescape that Iâ€™ve personally ever been in. You guys are always helping each other out, building friendships with one another, and always fun to talk with. But, before I write off, I wanted to say that Iâ€™ve been very much honored to have been with Ge Tracker this long and to have had been able to work with the greatest community. 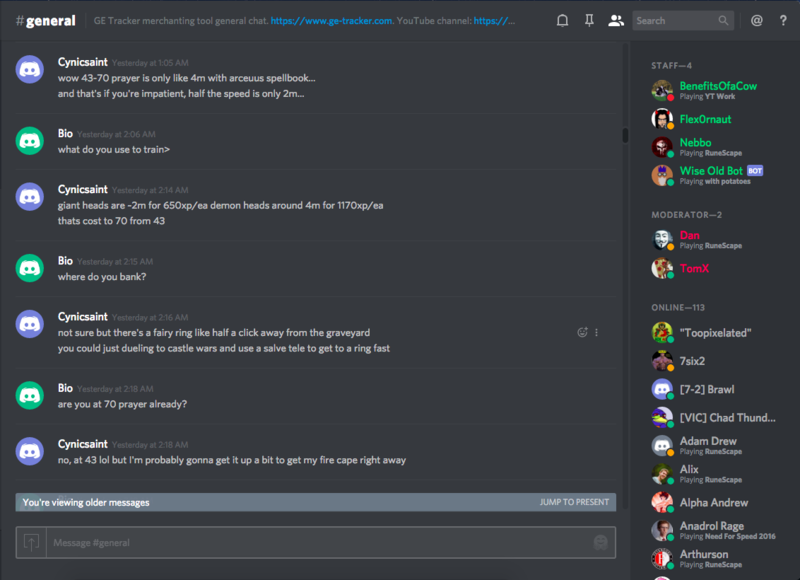 This simply wouldnâ€™t have been possible without any of you guys [especially all of staff/mods â˜º]. Whether you support us directly by subscribing, or if youâ€™re a free user, we appreciate each and every one of you â€“ truly. Iâ€™m sure I speak for James when I say, Itâ€™s been an amazing year with all of you, and Iâ€™m so looking forward to what may come of 2017.